Vegan Fashion Week, an historic event dedicated to elevating ethical fashion globally, will be making its grand debut in Los Angeles beginning February 1, 2019. Tickets are now available. Produced and curated by French creative director and animal rights advocate, Emmanuelle Rienda, Vegan Fashion Week will be a tribute to the animals and an ode to the end of animal exploitation in all forms. This unprecedented four-day event will launch with an exclusive opening soirée and tribute at the Natural History Museum of Los Angeles, bringing fashion and activism together with a deeply conscious twist. In conjunction with the Los Angeles Night of Ideas, the Museum of Natural History will activate its galleries, diorama halls, theater and public spaces throughout the museum. Highlights of the event will include a talk by climate scientist and Nobel Peace Prize laureate Robert Lempert, a vegan fashion runway showcasing vegan designers, a vegan capsule of high-end designer pieces, and a timeline displaying the evolution of vegan fashion and the brands committed to embracing cruelty-free practices. This year’s theme will be Facing Our Time and will explore the challenges faced around ecological and climate change through the lenses of science, nature, and art. “I want to ignite conversations and debates within the industry by educating, elevating and drawing connections between our most important values; our respect for human life, animal rights, and the environment,” says Vegan Fashion Week creator Emmanuelle Rienda. Following the night of the launch, guests will have the opportunity to travel to the LA Fashion District between February 2 – February 3 to experience a vegan world at the California Market Center, with a curated selection of animal-free designer pieces and a vegan lounge offering cruelty-free fashion, beauty, and culinary vegan innovations sourced globally from various countries. Brands, organizations, and attendees will have the opportunity to connect with conscious and like-minded individuals through activations,experiential exhibitions, and a conference featuring intellectual panels discussing the most critical issues in the fashion industry and the existing alternatives. Themes that will be explored include animal rights, social justice, circularity, technology and intersectionality. After receiving acclaim for multiple events during LA Fashion Week, Emmanuelle Rienda, with the support of PETA and Fashion Revolution, released the first edition of the Future of Fashion conferences through her Los Angeles-based creative agency LE FRENCHLAB, centered around ethical and smart fashion. This not only ignited Rienda’s passion to change the future of fashion on a grander scale but earned her the recognition and praise of the French Consulate. audiences and fashion brands with a traveling fashion week and conference across the globe until vegan fashion is the standard. Vegan Fashion Week is dedicated to elevating ethical fashion globally. This four-day event is designed to empower conscious brands and humans with an elevated platform for achievement, inspiration, and discovery. 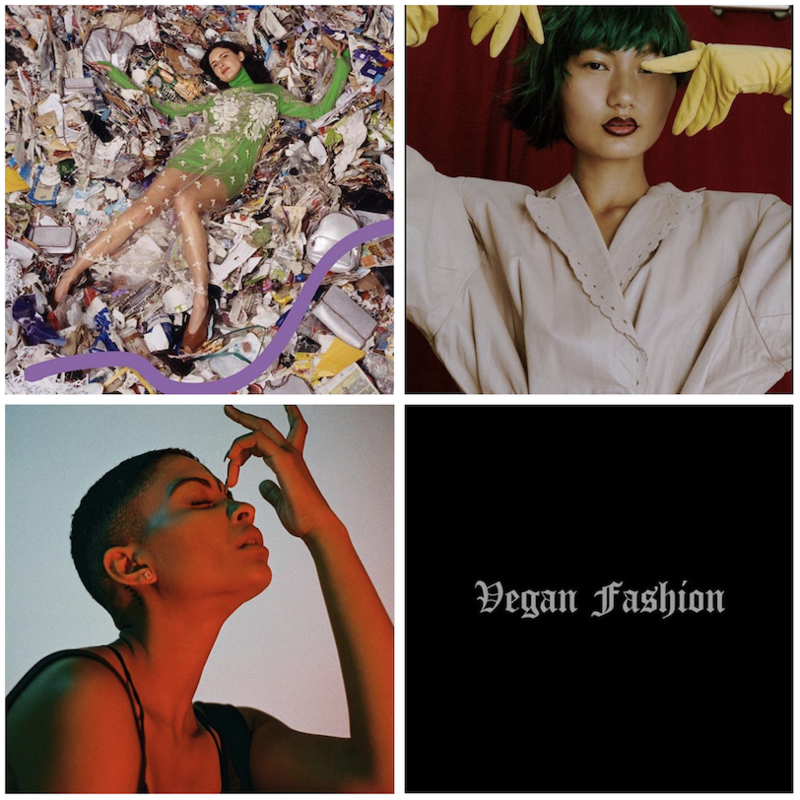 A tribute to the animals and an ode to the end of animal exploitation in all forms, Vegan Fashion Week is produced and curated by French creative director and animal rights advocate, Emmanuelle Rienda and merges fashion and activism with a deeply conscious twist.